Today I found out, as a teenager, the inventor of the PEZ confectionery created one of the world’s first ready-made cake mixes, popularly selling it throughout the Austro-Hungarian Empire. The teenager was Eduard Haas III. Haas III’s grandfather, Eduard Haas I, was a doctor who invented a type of “light” baking powder which he advocated over yeast in recipes as he felt it was easier on people’s digestive systems. As a teenager, Haas III began selling and promoting his grandfather’s baking powder at his father’s wholesale grocery store. While the packets of baking powder Haas III sold came with a recipe book and suggestions on how much to use as a substitute for yeast in recipes, Haas III got the bright idea one day to save people the trouble of having to measure out all the ingredients for Gugelhupf cakes, a type of torus shaped Bundt cake made with raisins and almonds embedded in the cake. Thus, in 1914, he started putting together packets of the necessary ingredients for Gugelhupf cake all mixed together, called “Hasin, the Ready-Made Health Sponge Cake Mix”, which sold extremely well all over the Austro-Hungarian empire. About four years later, the now 20 year old Haas III began creating a line of other products including Haas Pudding Powder, Vanillin Sugar, and a gelling aid called Quittin, which also all sold quite well. Now with his baking business booming, Haas III decided to branch out and helped develop a method of cold pressing peppermint into small “peppermint bonbon” bricks. He distributed these to various friends and colleagues to get feedback on the peppermint candies and they were received well, so he went forward with selling “Pfefferminze” or “PEZ” to the public in small tins. Towards this end, in 1947 Haas III decided that instead of putting PEZ in tins, as he had before, they should be put in a device that would look like a cigarette lighter, which would also make it easy to share PEZ with others in a hygienic fashion. Haas III then enlisted the aid of Oscar Uxa to create this new dispenser, called a “PEZ box”, or on the patent a “Pocket Article Dispensing Container”, which sold very well over the next few years. Up to this point, PEZ was marketed solely at adults, including advertising with risqué “PEZ girls”. They didn’t begin marketing to children until the 1950s when Haas III and co. were trying to sell PEZ in the U.S., without much success. At the urging of Curtis Allina, VP in charge of U.S. operations, they switched gears and began targeting children in the United States, including creating fruit flavored bricks, instead of just peppermint PEZ, and beginning to create character based PEZ dispensers, which were initially full body molds, rather than just heads on a uniform box base as they are today. The first two PEZ dispensers were full bodied Santa Claus and a Space Trooper robot designs. While Haas III tried to use peppermint (and the menthol in it) to try to help people stop smoking, the cigarette industry has gone the other way with that, using it to get people to smoke more. Specifically, menthol works fairly well as a short term reliever for sore throats and other minor mouth, nose, and throat irritations. Thus, adding menthol to cigarettes helps sooth the smoker’s irritated throats, allowing them to smoke more without immediate added discomfort. On that note, menthol also works well to help sooth certain cold and flu symptoms. It also has been shown to help relieve bloating and pain from menstrual cramps. Menthol also works well in conjunction with aloe as a good sunburn treatment. The cooling sensation it provides helps ease the pain. Menthol works decently as a low level pesticide and as a good mosquito repellant. Not only will it repel mosquitoes, but mint oil also will kill them if they come in close contact with it. 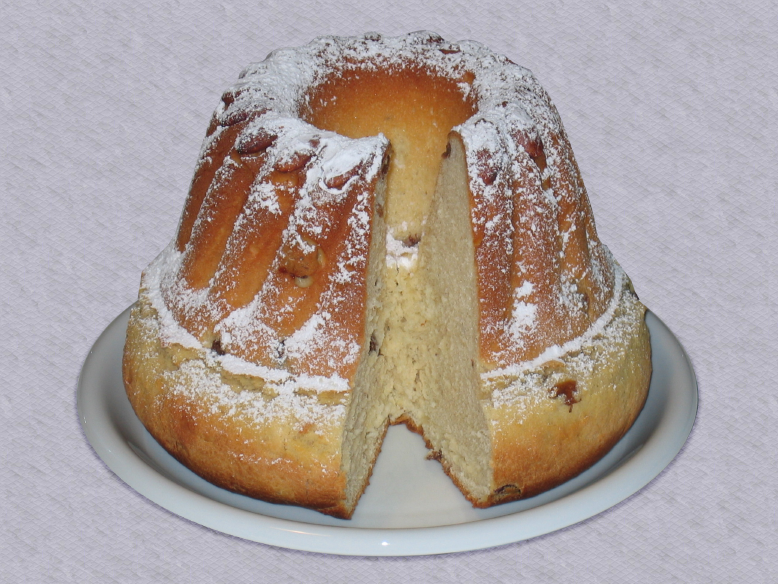 The word “Gugelhupf” is thought to come from the Middle High German word “gugel”, meaning “hood”, and a variation of “hefe”, meaning “yeast”. The word “torus” comes from the Latin “torus” meaning “cushion / knot / bulge”.